If you love Target, then buckle your seat belts, y’all. 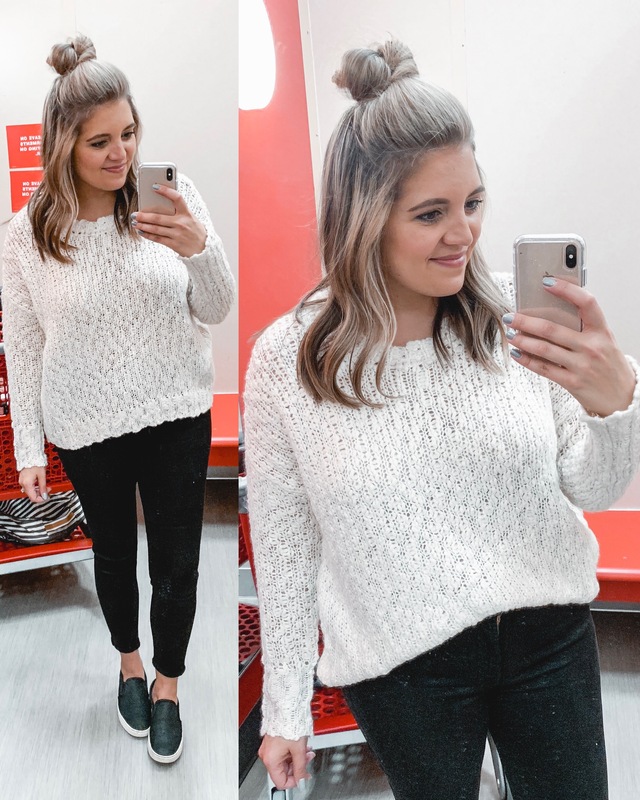 This is one of the biggest try-ons I’ve ever completed! 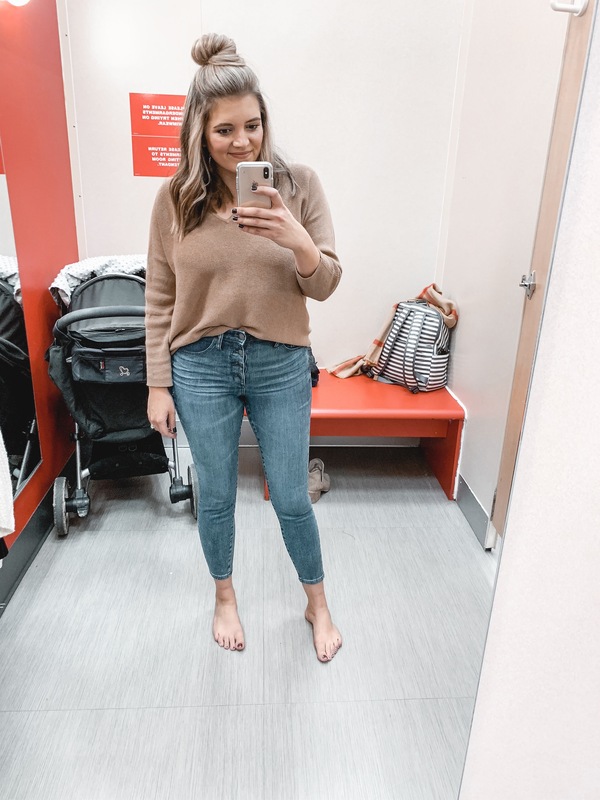 From cardigans to camis, boots to mules, I’m covering it all in this massive fall Target try-on session! Grab a cup of coffee (or wine– who am I to judge?! 😉), and get those Red Cards ready! 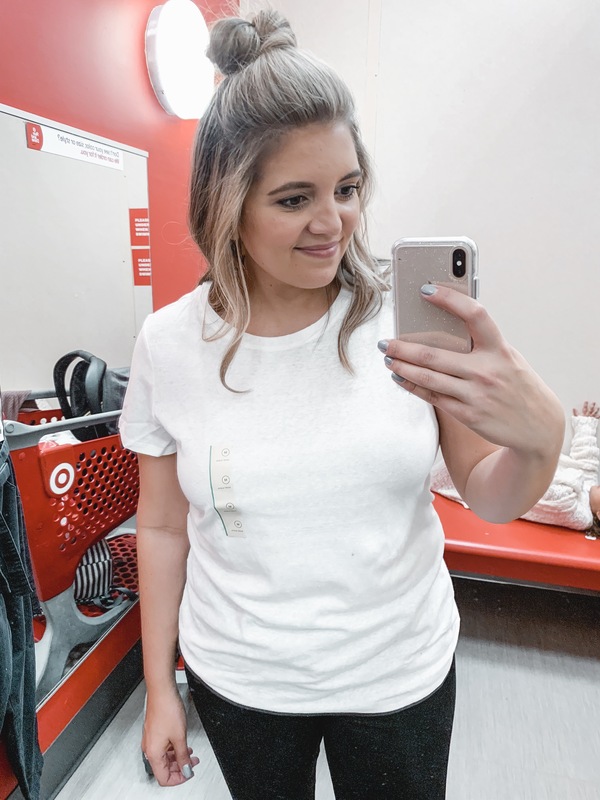 For sizing purposes, I am 5’7.5″, a size 10, and a medium in tops. 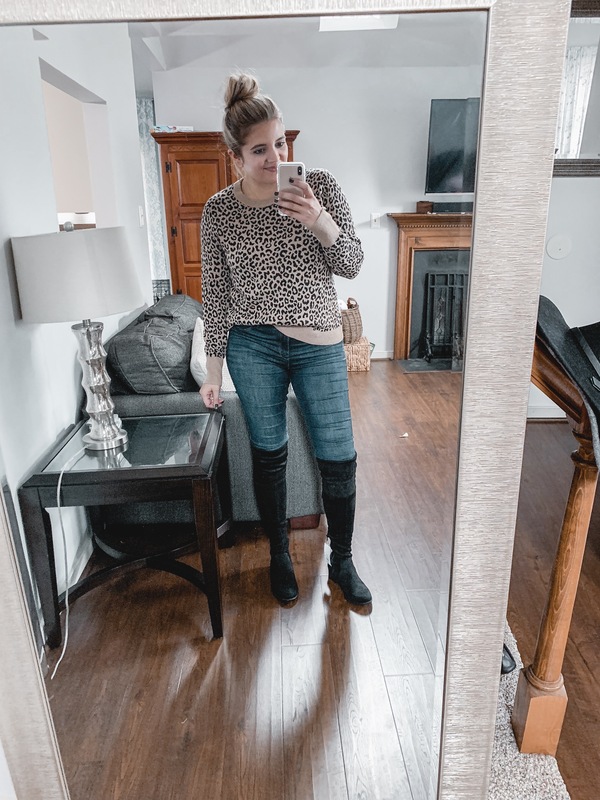 Beneath each photo I’ll call out exactly what size I’m wearing! The color grabbed my attention but it was the last one in store and an XL. I actually didn’t mind the fit! The only downside was that it was a little itchy. If you’re sensitive to fabric, skip this one! 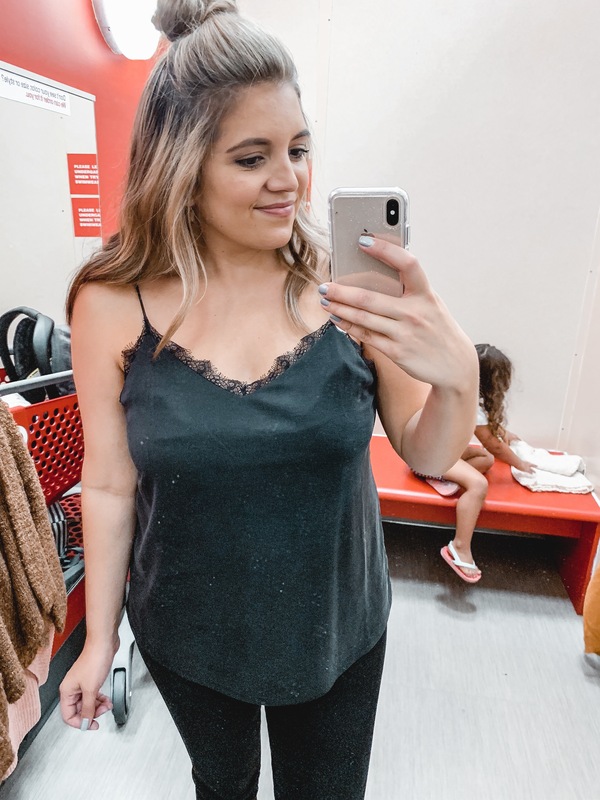 My fav cami that I’ve found lately. The material is like a thick tshirt, but it looks high end! I was wearing a regular bra, so ignore the lumps at the top 😂. It’s a winner and I ended up buying two colors! I’m in a large but it fits true to size. 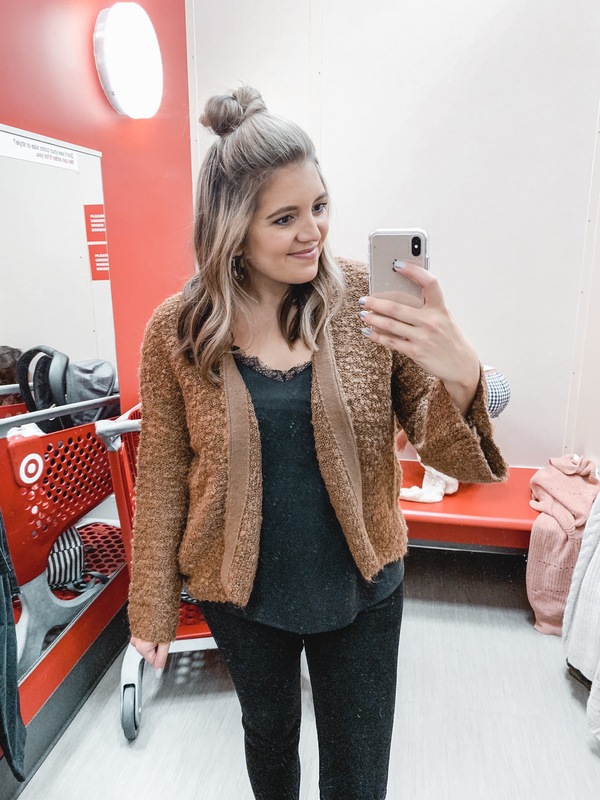 This chenille cardigan is SO SOFT but I love that it doesn’t have the bit of shininess that some chenille sweaters have. I’m wearing a large. I ended up ordering a medium online, but now I regret not sticking with the large! I preferred the oversized fit. It does fit true to size but if you like a more relaxed fit size up one. 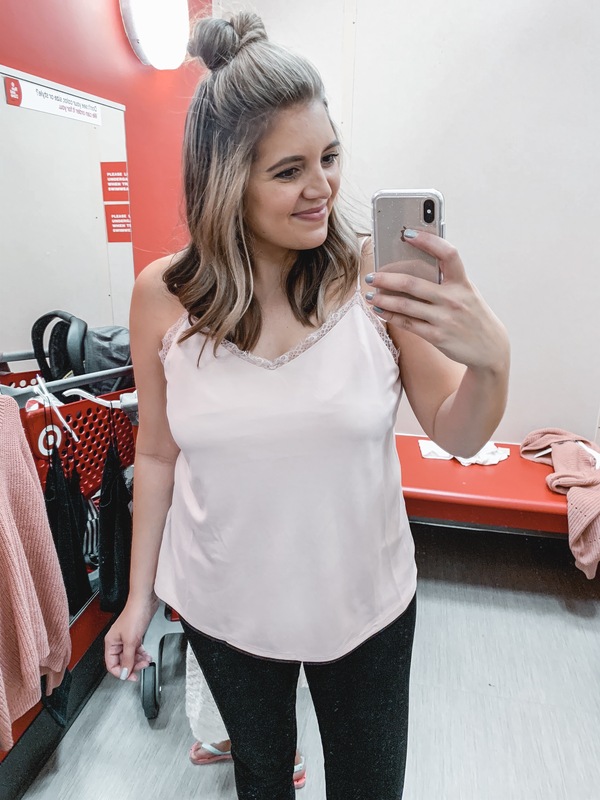 The same cami as the black one I tried previously! This is also a large. 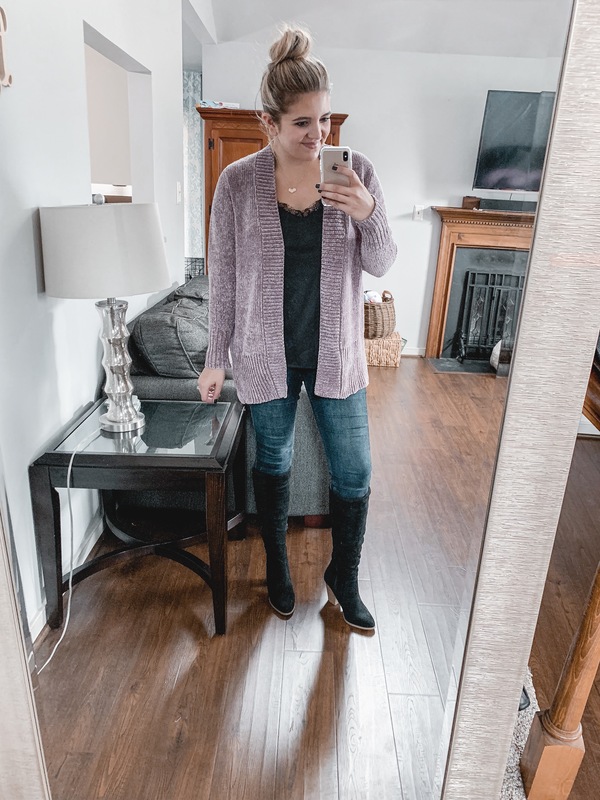 I love the color and texture of this cardigan. The oversized buttons are adorable too. It definitely has a grandpa-style vibe to it. Fit is boxy and oversized. If you want a closer-to-the-body fit, size down one. 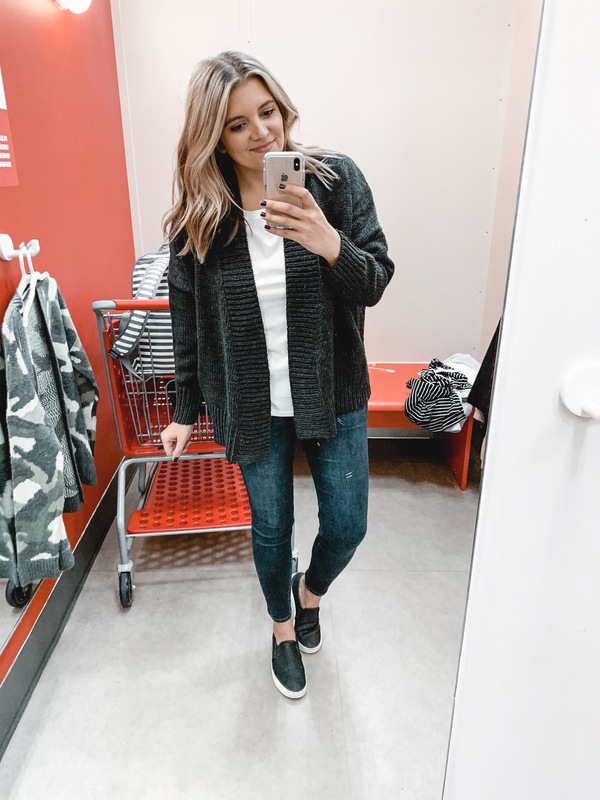 One of my favorite Target cardigans to date! It’s nice and thick, not at all itchy, and looks much more expensive than it is! The sleeves are slightly balloon-style, but not in an unflattering way. Stick with your true size. I’m in a medium. 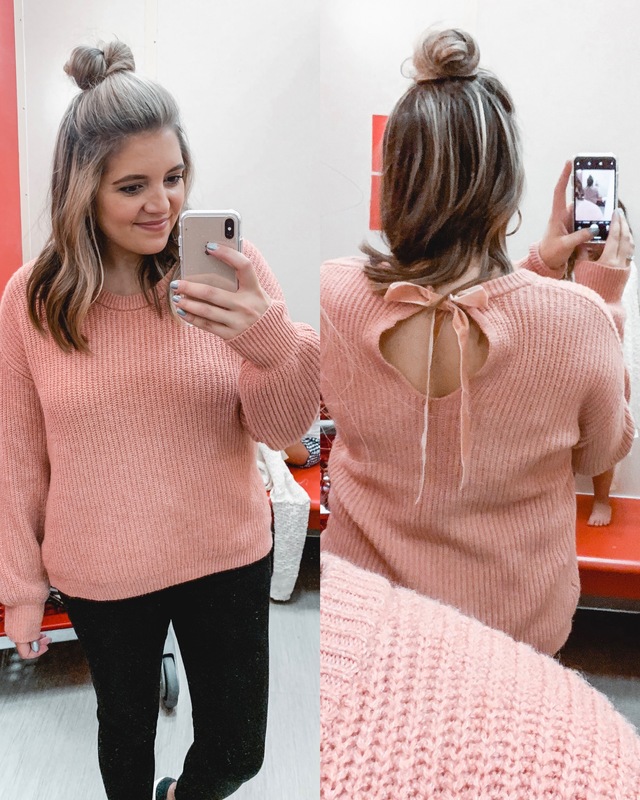 The velvet bow, y’all! 😍It also comes in a white sweater with a black velvet bow as well, but this color just drew me in. 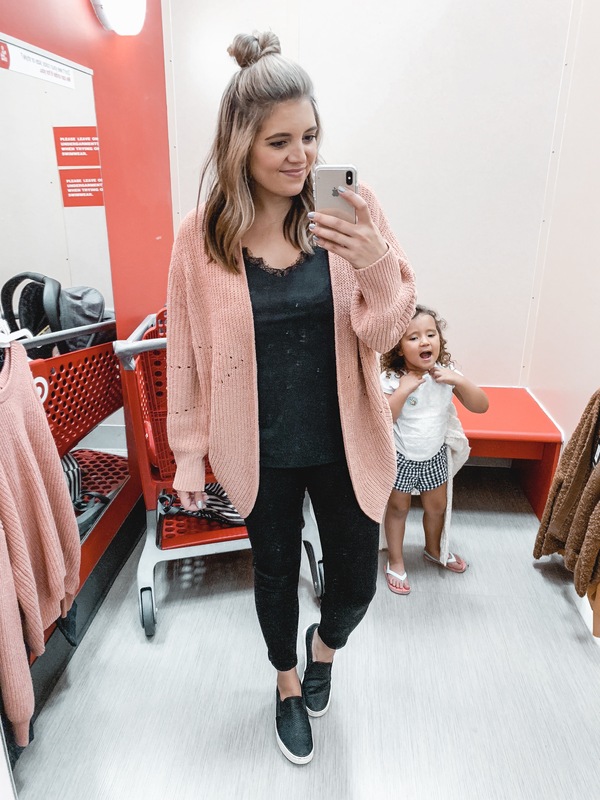 Like the chenille cardigan, it’s a beautiful dusty rose-y peachy color. They only had a large in store but I liked the relaxed fit. 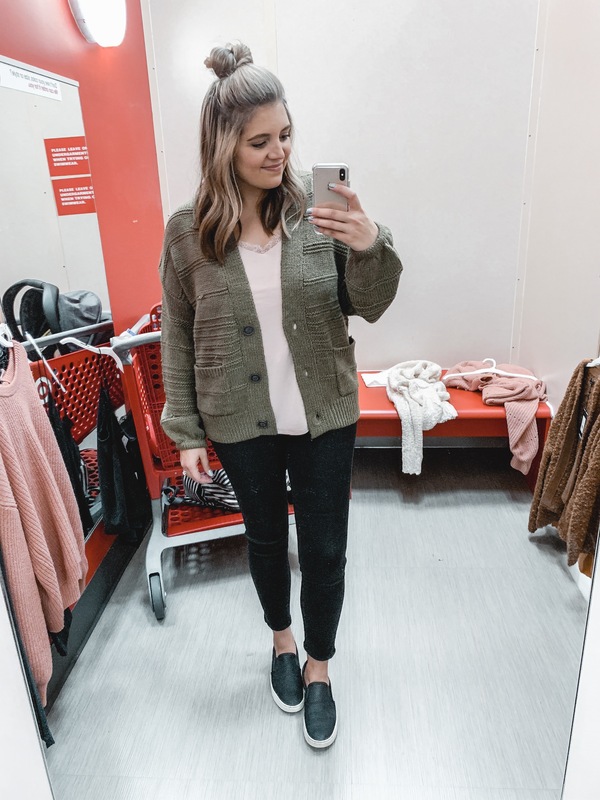 The texture of this jacket caught my eye but I did not love it on. The material is a bit stiff and rough. It’s not itchy but it’s not exactly comfortable either! This is a skip for me. 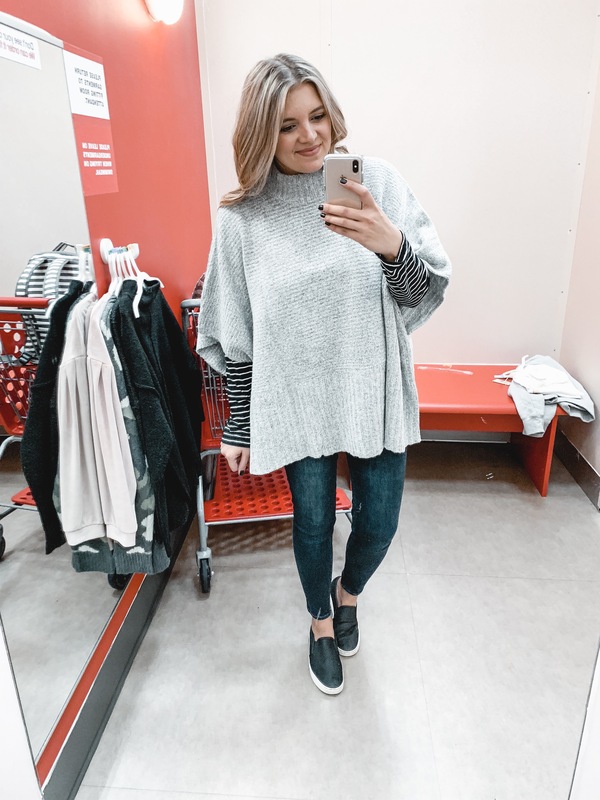 After buying the Madewell crewneck tee, I wanted to try Target’s version! For $8, you really can’t beat it. It’s lightweight but not see-through. This one isn’t textured-looking like the Madewell version, but I still really like it! Fit is relaxed. These pants, ya’ll. If you follow me on Instagram, you probably know that these came home with me… and I’ve already worn them! I AM IN LOVE. Here’s the thing: the run BIG. These are the medium and I had a feeling they might be the type of pants that stretch, so I tried the small. I ended up buying the smalls and they did stretch throughout the day. So definitely size down! I loved the length and color of this denim skirt. It’s a washed/faded black, and the cut is very flattering. It does run a little small. I’m in a 10, but found it pretty snug, especially in the booty area. I ended buying it one size up! 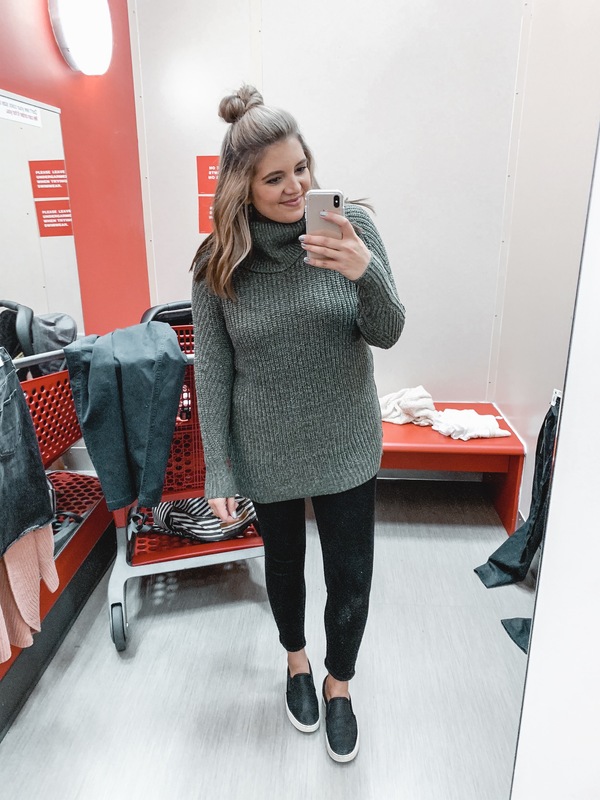 The perfect turtleneck sweater for leggings! It’s a nice thick weight and so cozy! It’s not itchy and comes in several color options! This is a winner, y’all! My henley tee obsession continues. This one is fitted, but I sized up two for a relaxed fit. I’m wearing an XL! 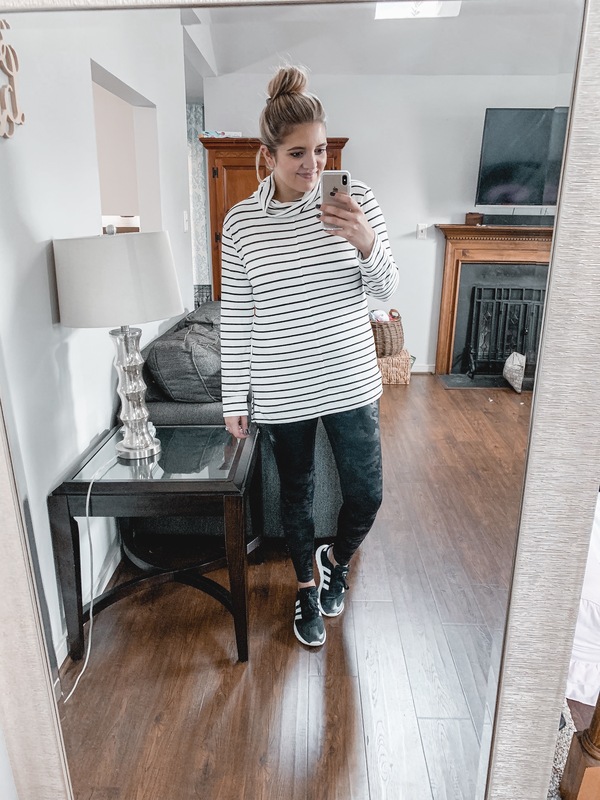 Another great leggings option! 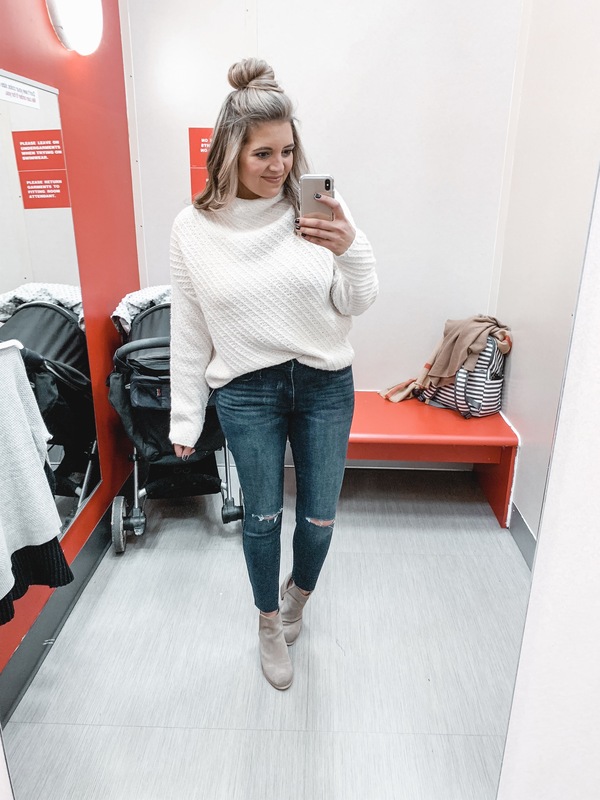 This one is a much lighter weight than the olive turtleneck sweater. It’s more of a heavy tshirt material but very comfortable! Even at 5’7″, it covered my booty. I might size up one to have it be a bit longer though! Fit is TTS. 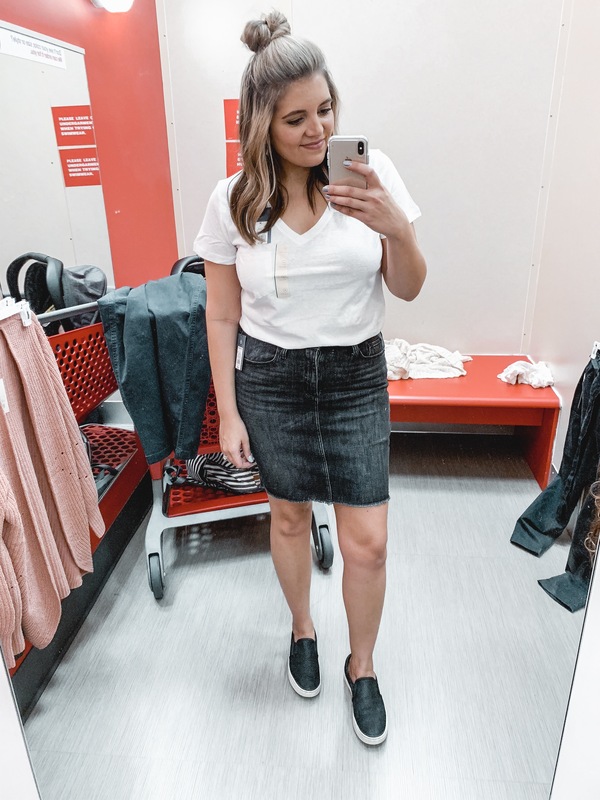 I tried these before in my last Target try-on session and they were some of my favs! The bootie height is a little higher than average. They also look a lot more high end! 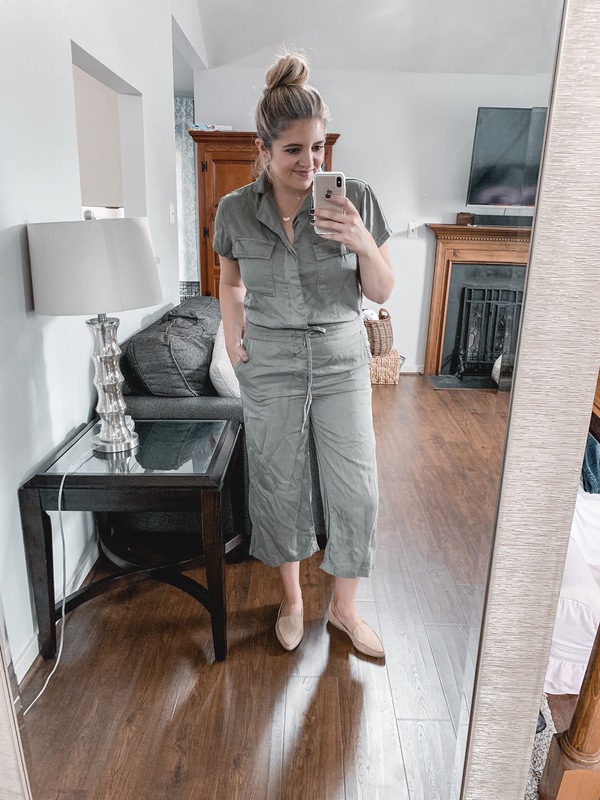 How cute is this jumpsuit? I felt a little like Top Gun but way chicer. 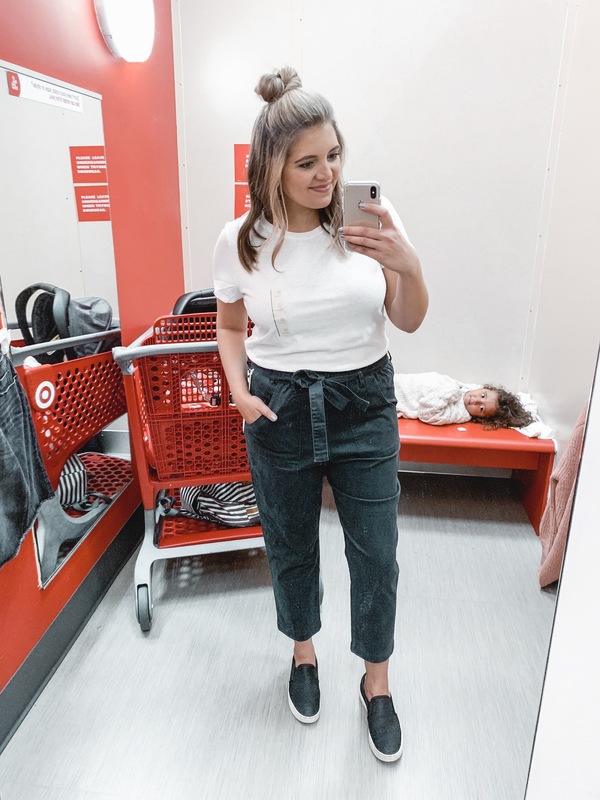 I loved the button front style, which makes it nursing-friendly! 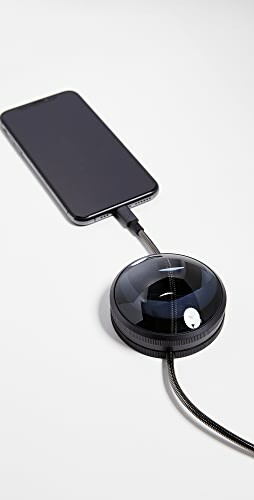 It also comes in black! I’m in the medium. 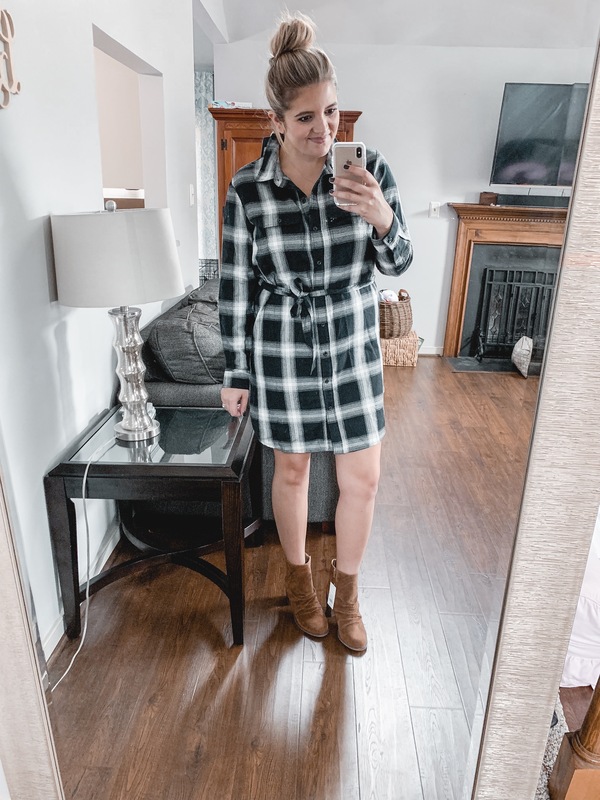 This dress was meant to be pj’s, but it’s totally wearable outside the house! I love it paired with brown accessories! Size up one for a relaxed fit. The color of these boots is beautiful. It’s a nice reddish brown! Fit is TTS and calves are roomy. The thin side panel is elastic, which will help with wearing them with denim or if you have thicker calves. 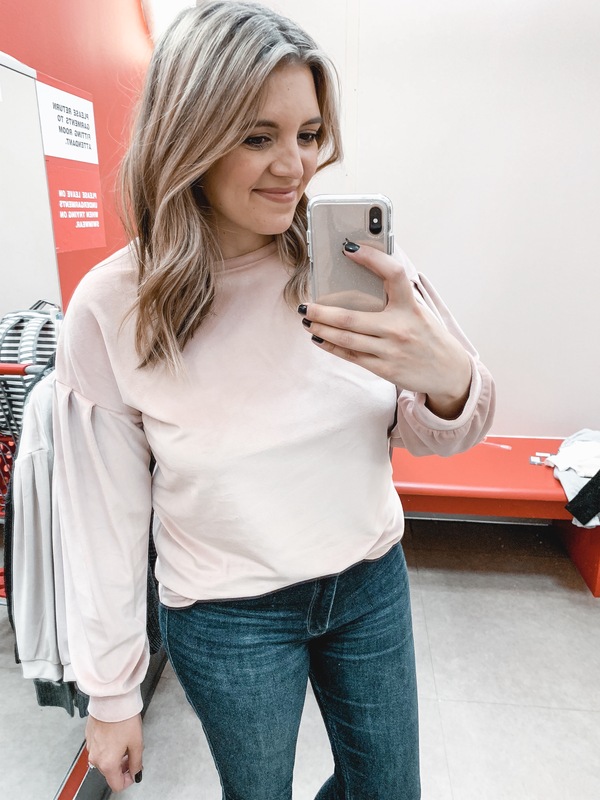 I wanted to love this top, but I didn’t notice the puffy sleeves when I ordered it! It’s also a bit sheer. I’d say the fabric is more suited for work/nights out, but it could be dressed down too. Fit is TTS. Another big winner. 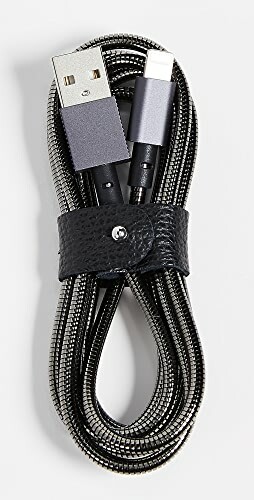 The quality of these is awesome, especially for the price. They have cushioned soles and are so comfortable too! 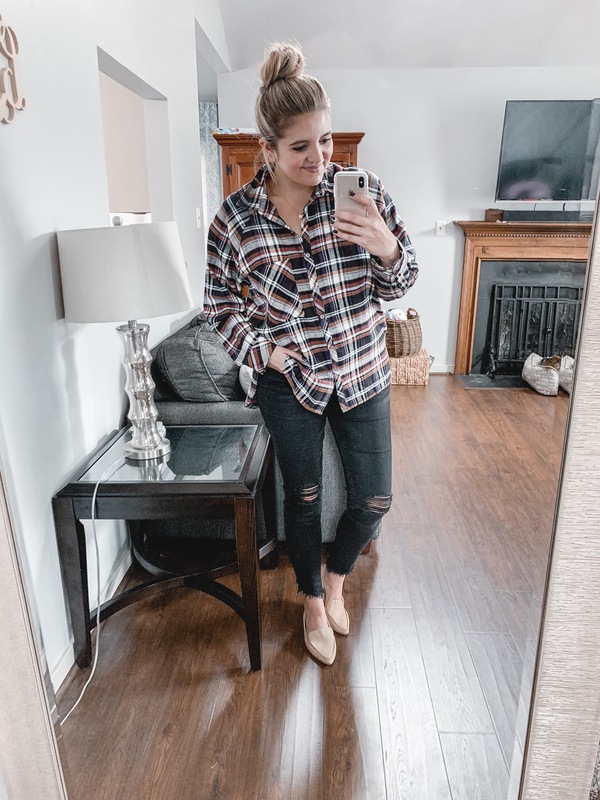 The plaid print of this top is so similar to this one from Madewell but at a fraction of the price! 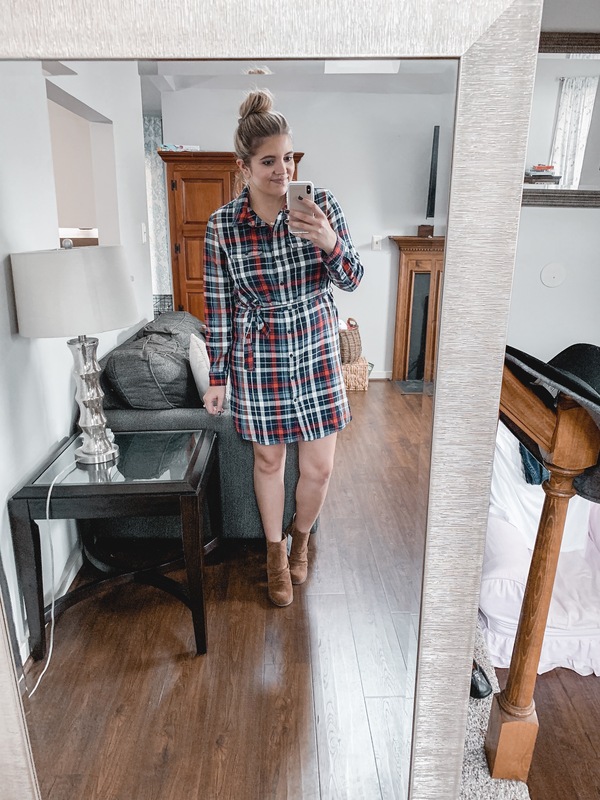 It is a thick, heavier flannel with a very oversized fit. The cut, especially the arm area, is a true boyfriend fit. 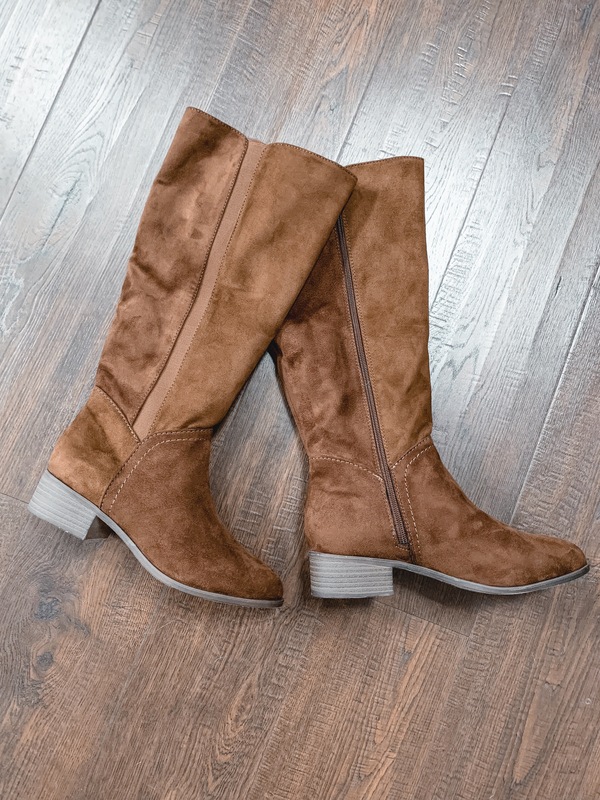 I love the style of these– they look great on, and the come in several color options! But I was disappointed with the quality. The top is thick and wrinkles easily. 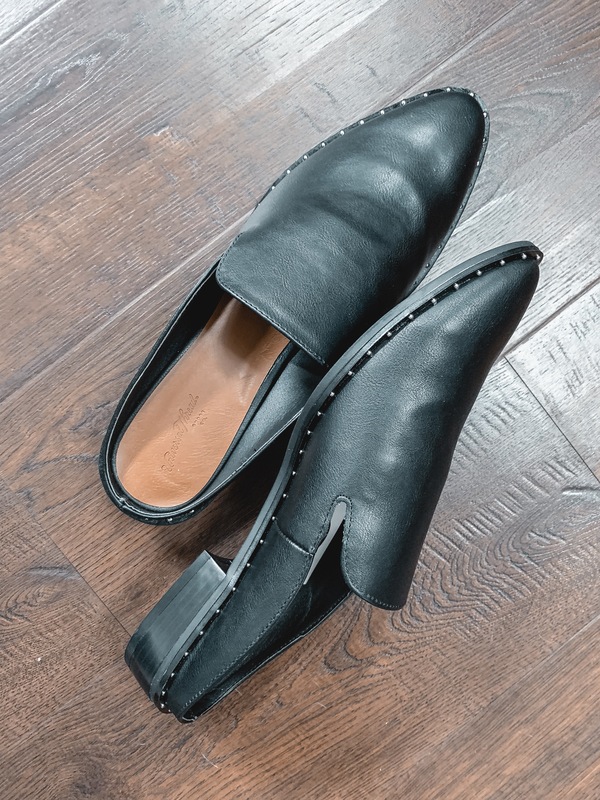 If you’re in need of a cheapie pair of flats, I don’t think they’re a bad choice, but don’t expect them to last long. 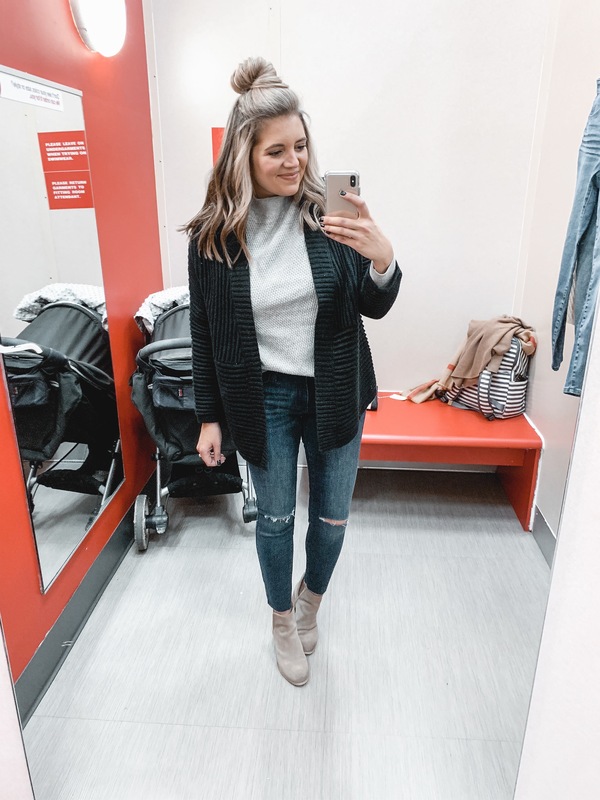 This cardi looks identical to one at Loft. I love the dusty lilac color of this one but it also comes in mustard and olive! The quality is awesome! 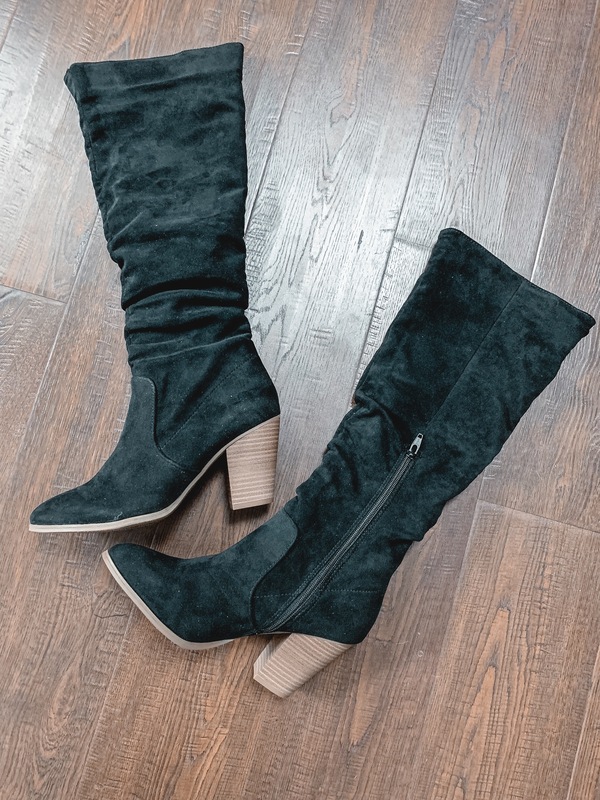 A great affordable heeled boot! They look much more expensive than they are and they come in two other colors. I have a narrow foot, but they still felt snug on me. I’d size up half a size. 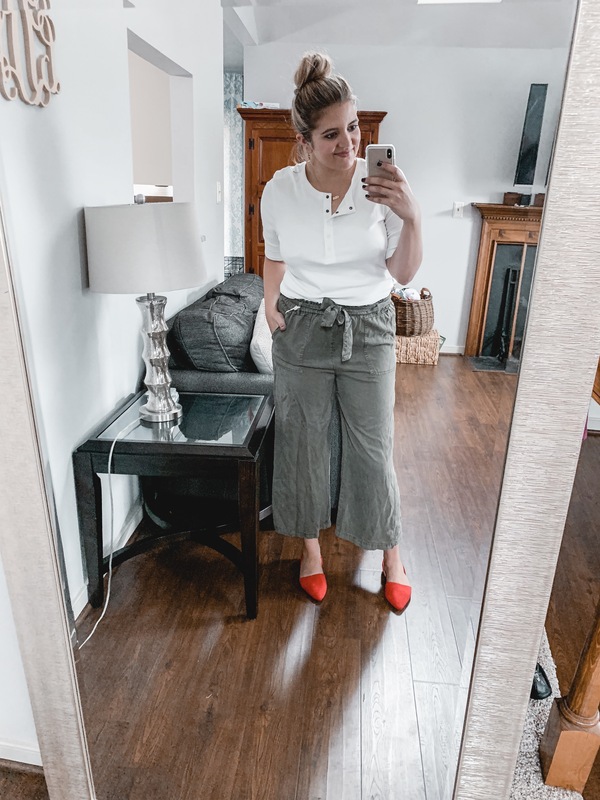 These wide leg pants, y’all!! 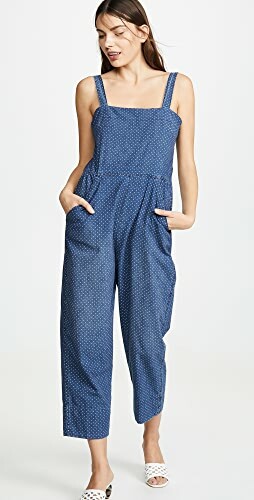 They also come in a denim chambray. Fit is oversized. These are the medium, but I might reorder them and try a small. 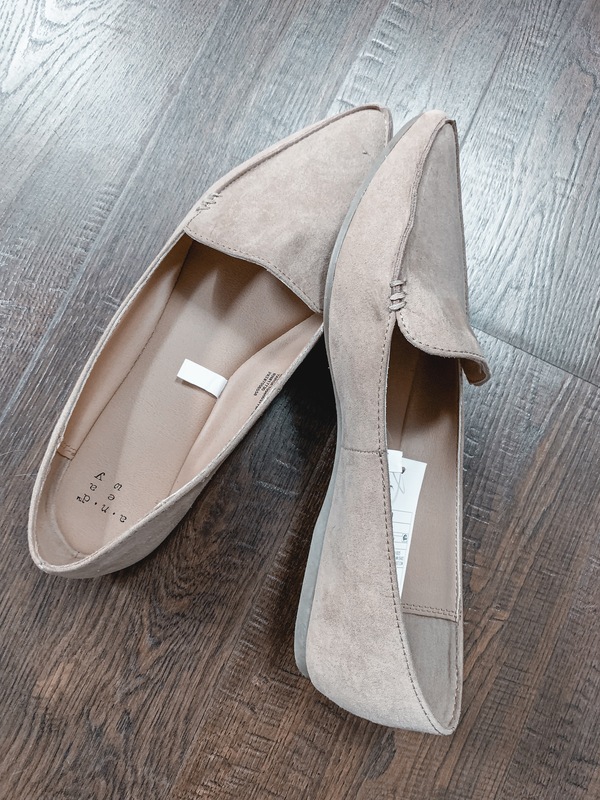 These flats come in several colors and leopard print! I have a narrow foot, so I sized down one half size! 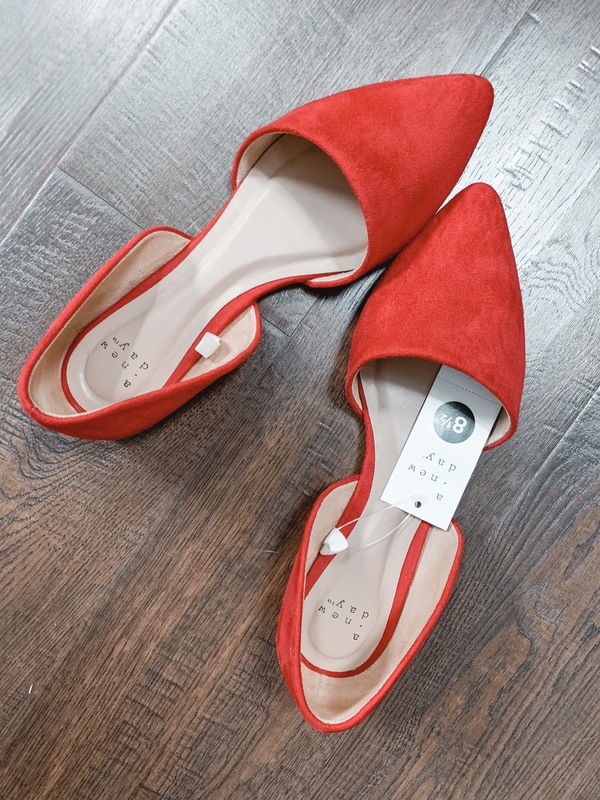 They are a great flat for the price and look so cute on! The quality if this sweater is so good. 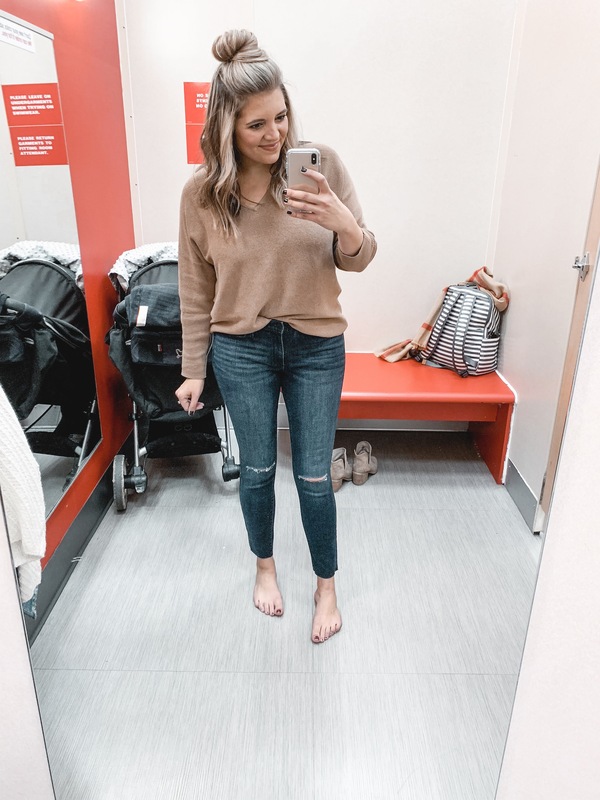 It’s an awesome dupe for a J.Crew one! I sized up one for a relaxed fit, but fit is true to size. 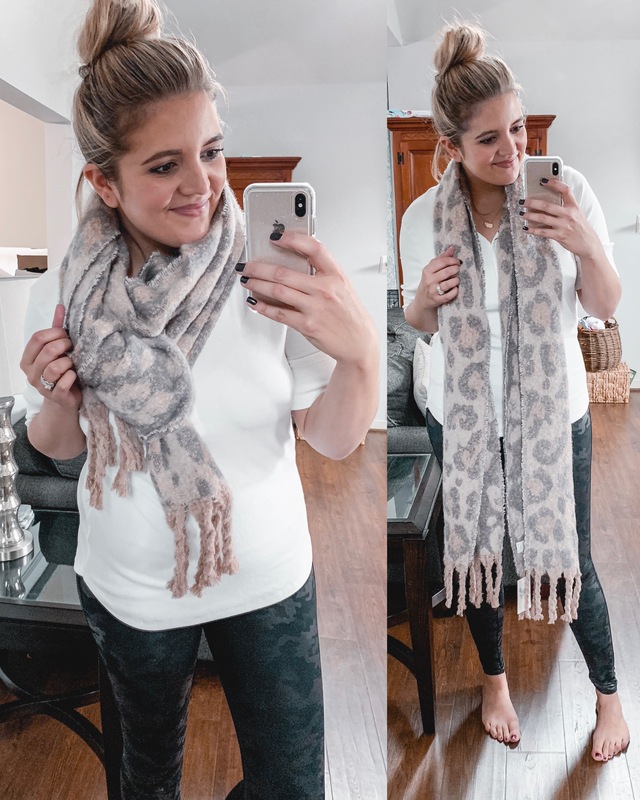 The best thick scarf for fall and winter! It’s nice and thick and so soft. 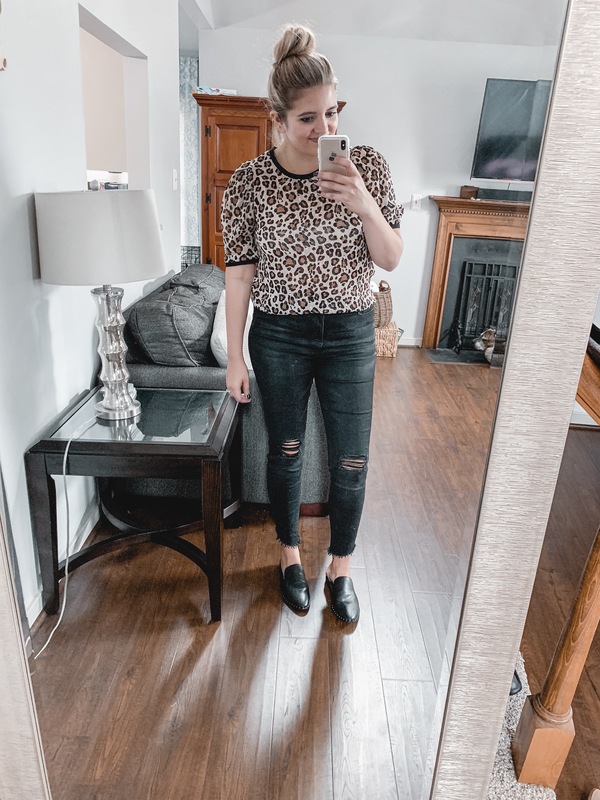 It also comes in other colors and prints if leopard isn’t your thing! 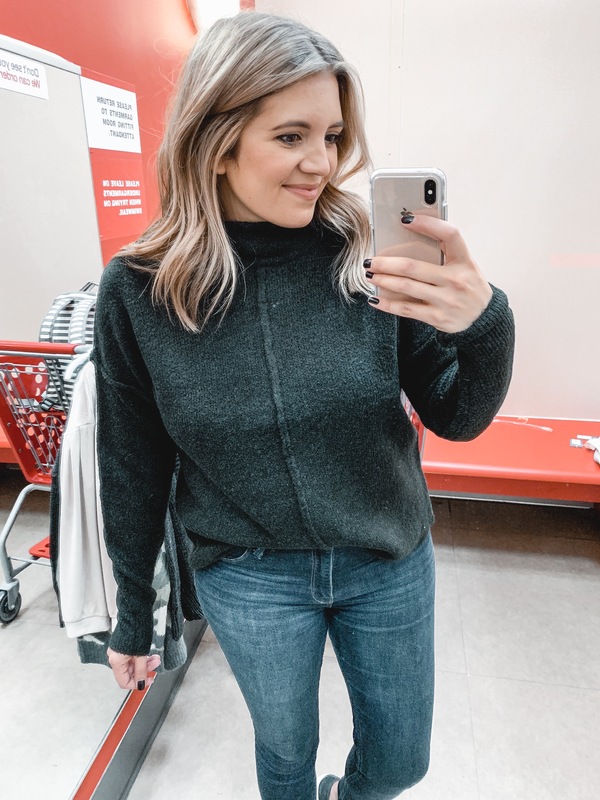 I recently went back in… because who can quit Target?! So read on for a few additional finds. 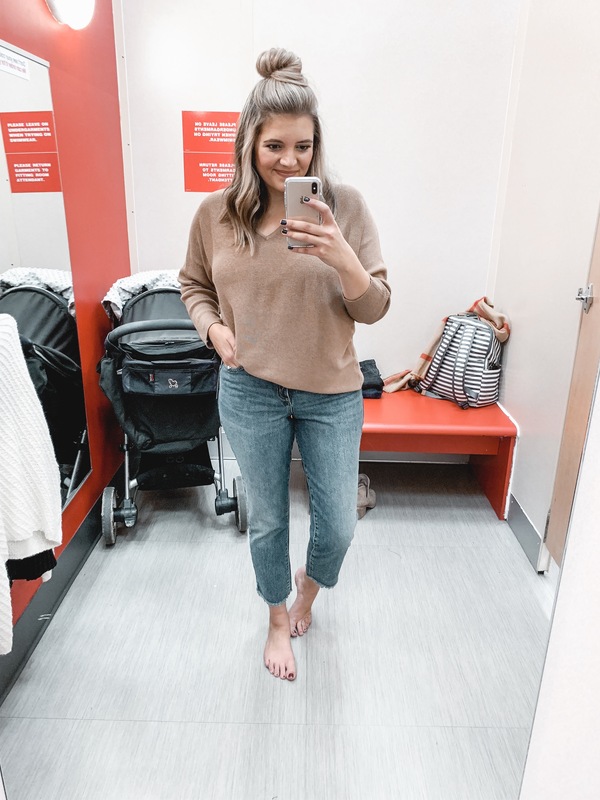 I’ve got some sweaters and jeans for you! 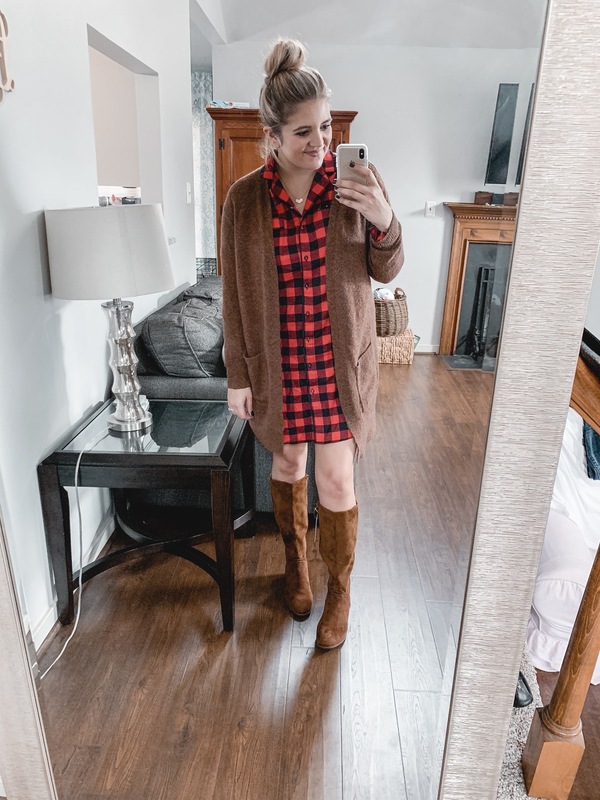 After picking up this poncho from Loft recently, I’ve been looking for another! They are perfect for breastfeeding. This one is one size. 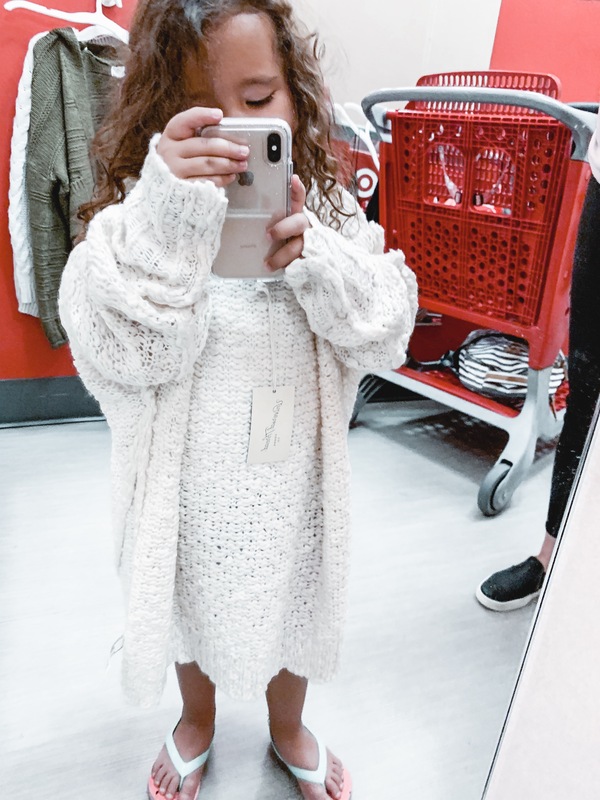 The fit is fine on me, and I actually think it would work for someone between a small to an extra large. But if you’re very petite, I would imagine it being very overwhelming on your figure! It also has a bit of an itch factor if you’re sensitive. This sweater has a nice weight. It’s a perfect heading-into-winter option. I love the seam-front design and mock neck. Bonus: it’s not itchy! Fit is TTS. The color caught my eye, but when I put it on, I felt a little “meh” about the sleeves. They are just a little too trendy for me personally! Fit is a bit boxy but true to size. It also comes in black. This cardigan reminded me a lot of one I had last year from Urban Outfitters but just without the balloon sleeves. That actually makes it a much more classic option! The drop sleeves and wide front trim do make it a more casual option though! 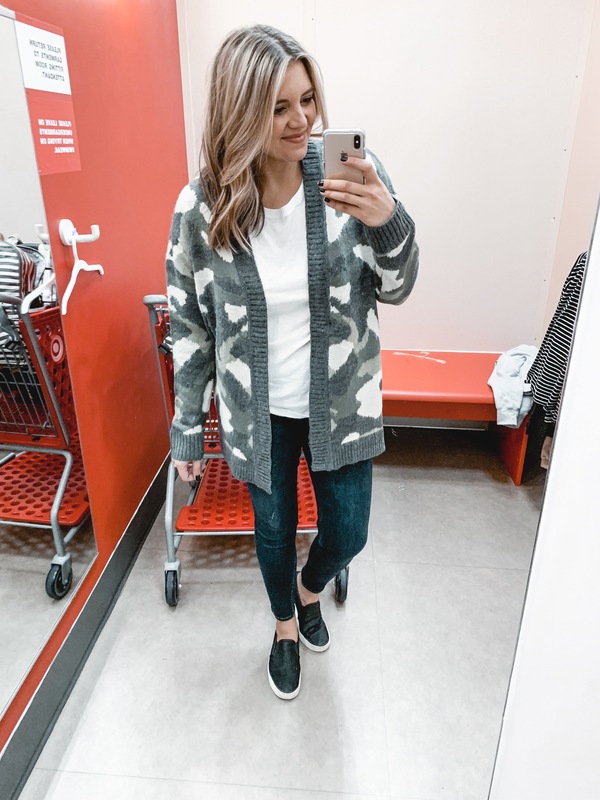 I’ve seen this camo cardigan on so many other ladies I had to try it on! They only had a large in store, but I would have preferred a medium. Stay true to size! 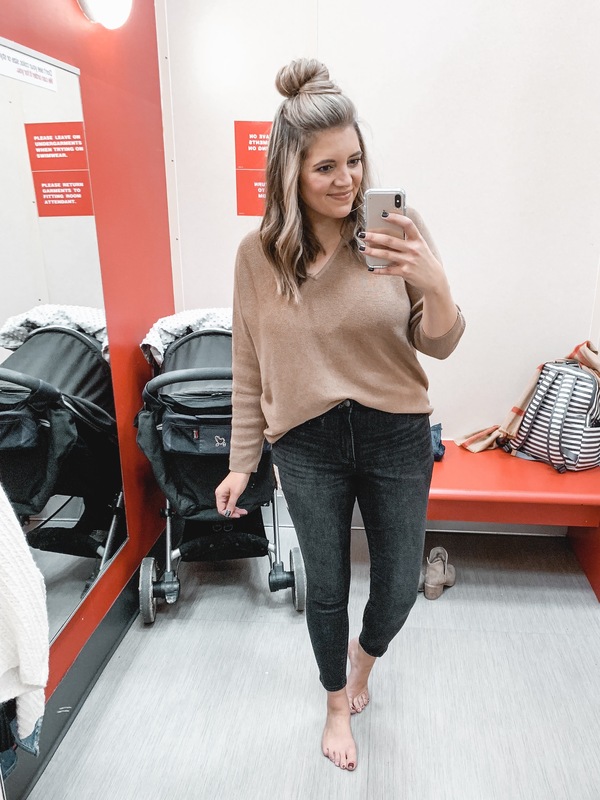 These were my favorite jeans I tried and now I’m regretting not buying them! They are very stretchy, making them so comfortable. I also love the simple slit distressing at the knee. The fit is very generous so be sure to size down! These are true high rise. They came all the way up to my belly button. They have a good amount of stretch but not as much as the previous pair! The color is also more of a washed black rather than true black. I also really loved these ones! I had high hopes for these but just didn’t love them. The crop on me was so high! 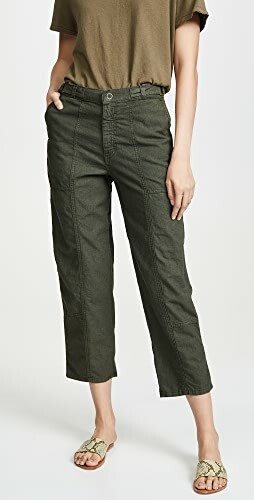 They are a true jegging without front pockets. And speaking of pockets– the back ones were pretty small. I didn’t love how they looked on my bum! These were another pair I really wanted to love! 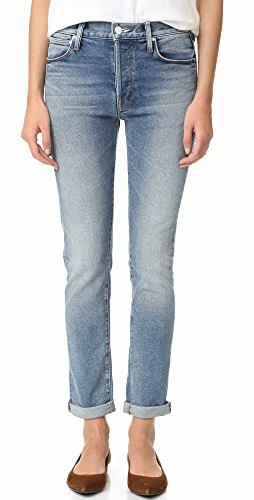 The cropped straight jean is so trendy right now. They are a true stiff denim without stretch. Because of that, I would have liked to size up. 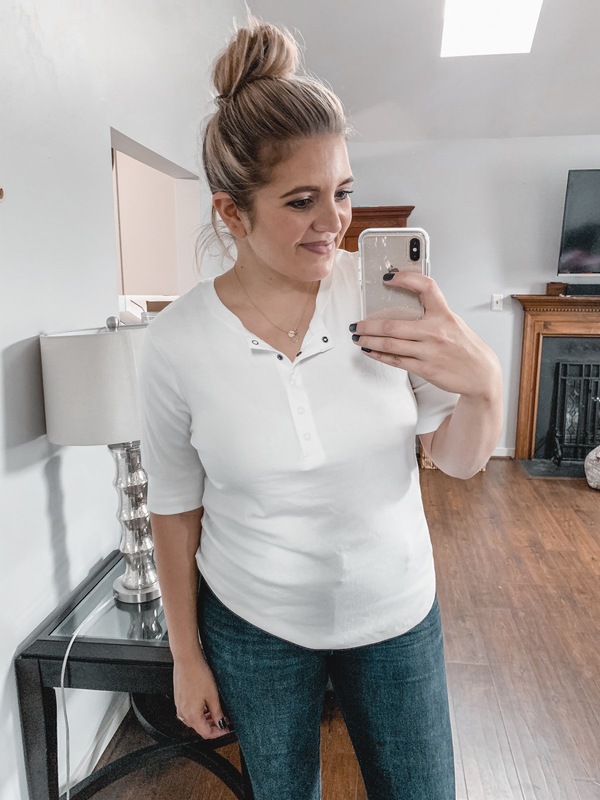 In my postpartum state, I don’t want anything that snug against my belly! 😂The back pocket on these were also a little small for my taste. This sweater is so beautiful in person. I love the diagonal stitched design! My store only had an XL, but I actually didn’t hate the fit! I would have preferred it just a bit smaller in a large. 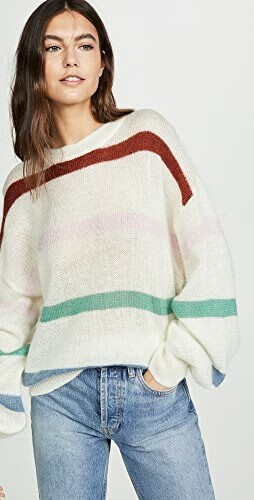 This is one of my favorite sweater finds as of late. I love the texture, and it also comes in black. The weight it also light, making it perfect for layering up! 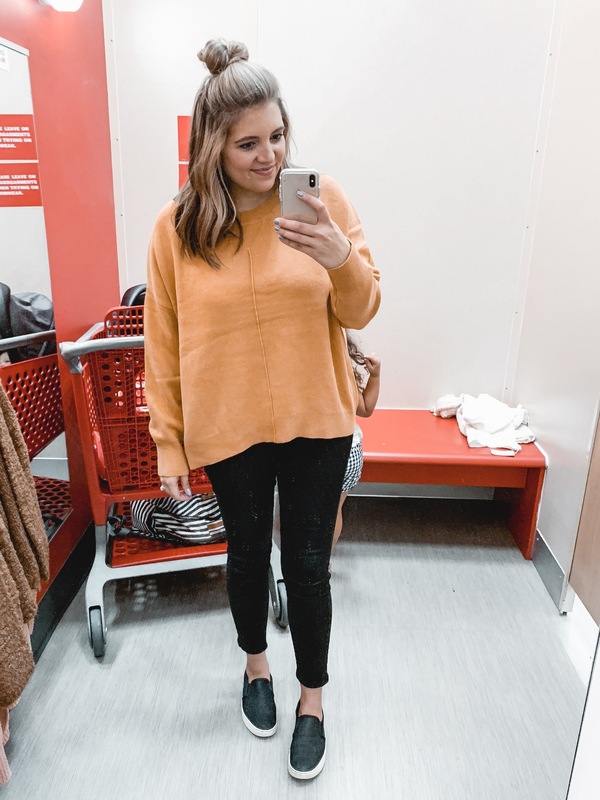 (You can see how I layered in the look below!) Size up one! 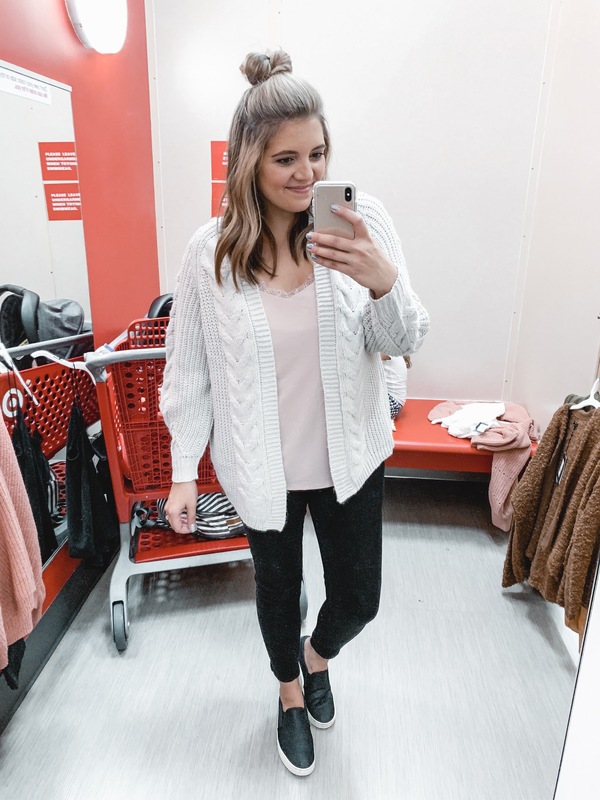 My favorite cardigan at Target right now! The quality is seriously awesome, y’all. It’s a nice weight and the texture is so cool. Fit is oversized though! I thought I had grabbed a medium but a small was placed on the wrong hanger. And the small ended up being perfect! Want more try-ons? 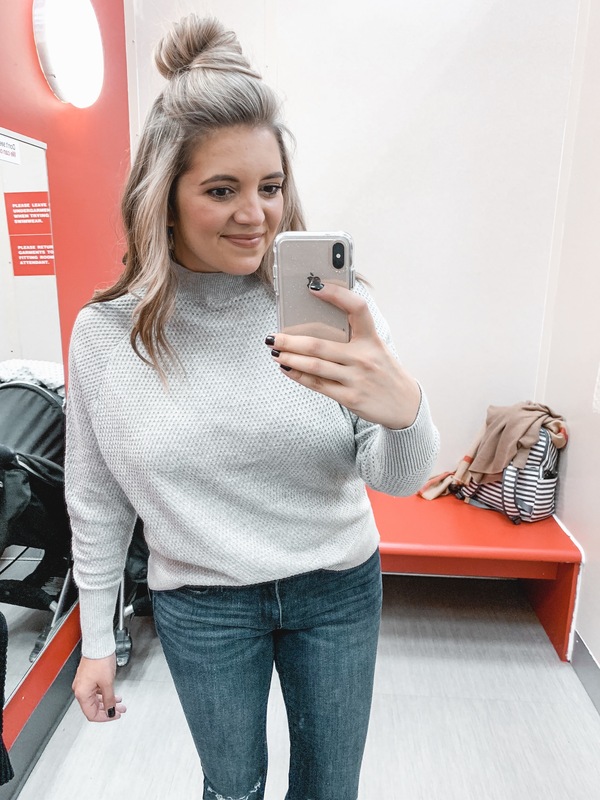 Check out my dressing room reviews here! So freaking cute! I’m going to need all these pieces in my closet! lol! By Lauren M uses affiliate programs and advertisements to monetize content. 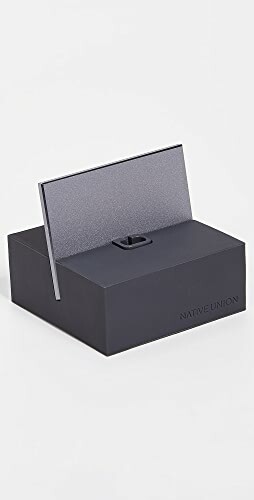 Clicking on affiliate links or ads may result in a small commission for By Lauren M.
Shop Black Pump Shoes, Printed Sweaters, Sweaters And Cardigans, Red Blouses and more. Get this widget. Sign-up to receive Lauren M’s weekly email newsletter with style tips, sales alerts, and more!